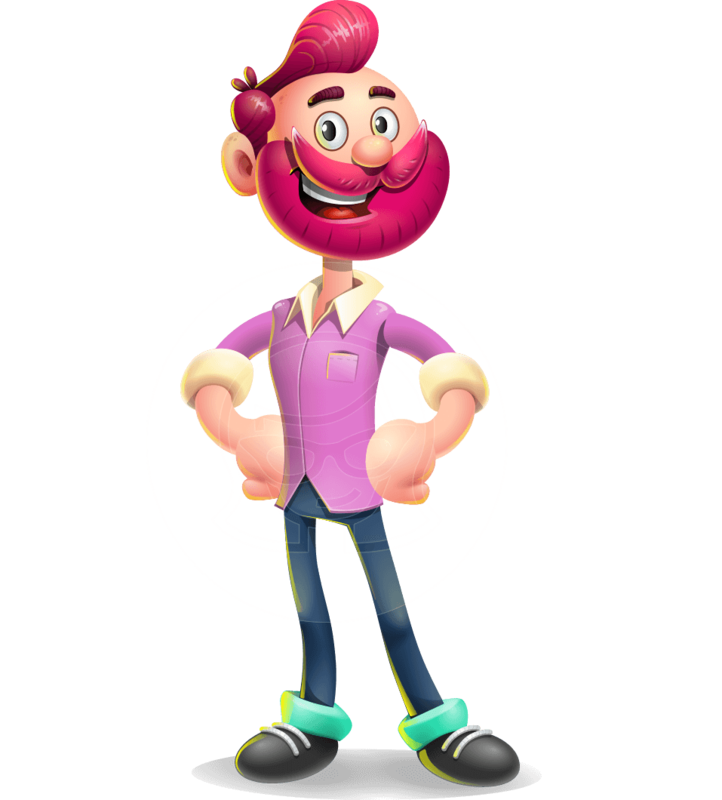 A charming hipster 3D cartoon character man illustrated in over 100 smashing poses. 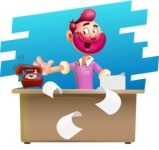 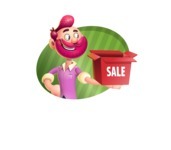 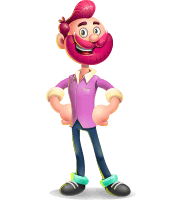 Bruno is a super modern 3D guy clipart inspired by the Popeye cartoon characters who has bright pink hair and beard. 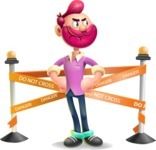 He is casually dressed and can easily jump into any type of project. 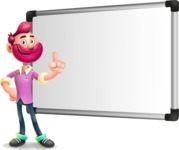 Simply grab him and make your audience fall in love. 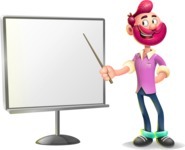 Ai, .Eps, .Png, and .Pdf file formats included.